Black and white illustrations sometimes get passed over because they lack the vibrancy of colored-in graphics, but that can easily be changed. 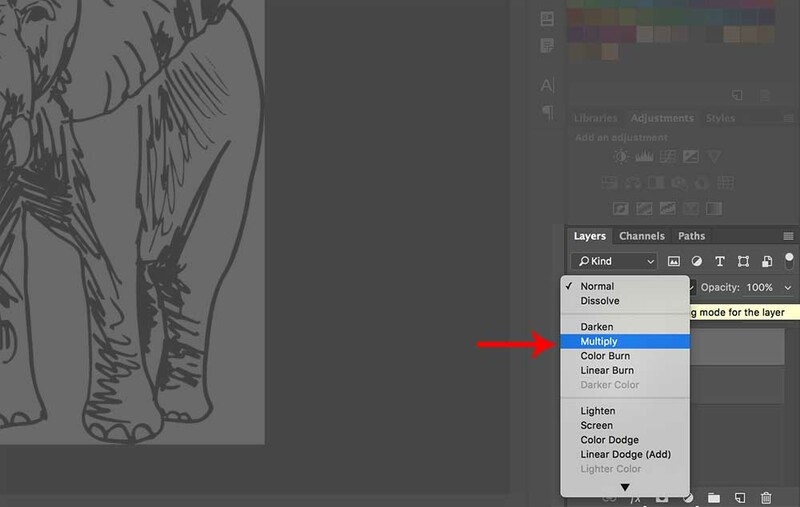 This tutorial will show you how to color in any illustration with the palette of your choice. Being able to drastically change illustrations will give you more flexibility with your designs, even allowing you to repurpose illustrations simply by changing the colors. 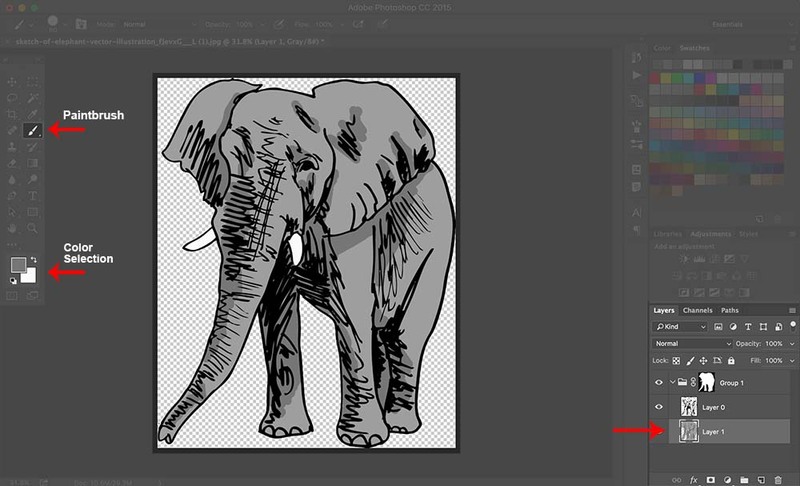 For this tutorial, we’ll be using an elephant illustration from the Storyblocks library. Start by downloading the JPG version of the image, then open it in Photoshop. 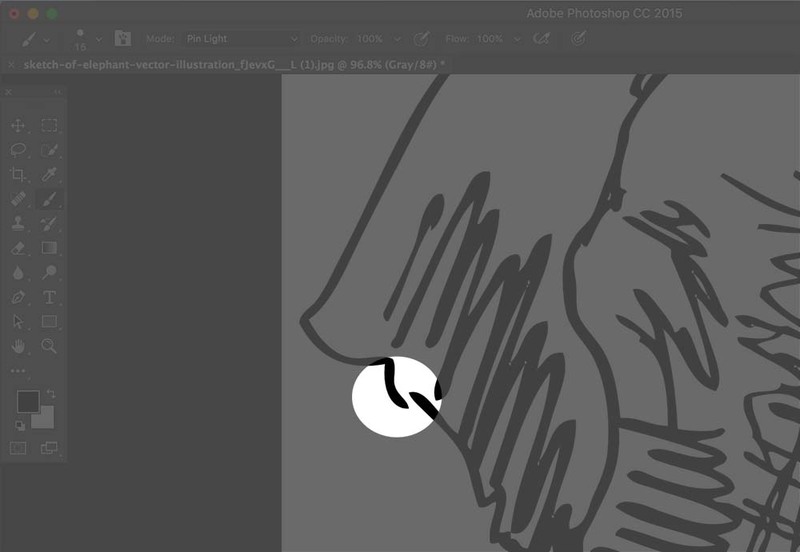 If there are any gaps in the outline of your illustration, make sure to fill them in using the paintbrush tool. 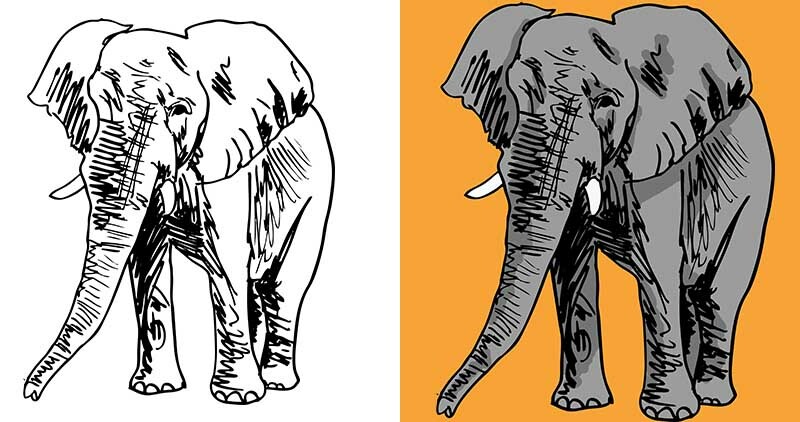 Our elephant illustration has one small break in the outline of the left ear, so we just need to connect the two points. 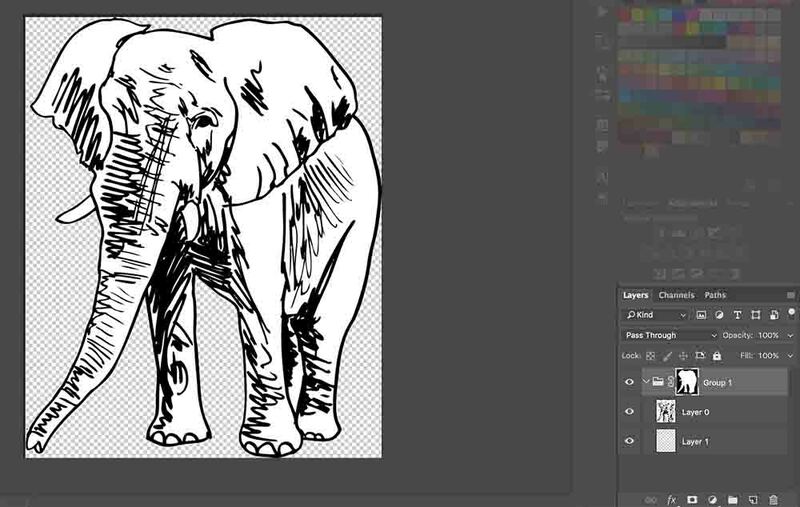 Make sure the elephant layer is selected when you start painting. 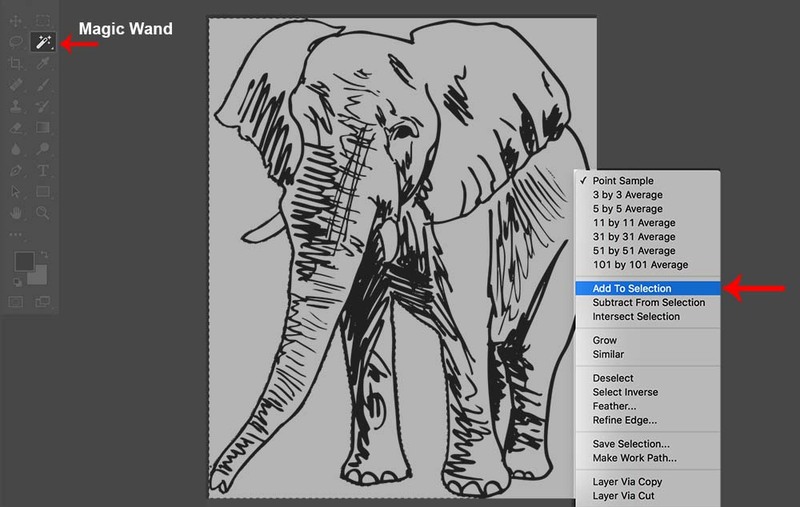 Select the magic wand tool and click on an area of the image outside of the elephant (this is where it is important that the outline of your illustration not have any gaps). A moving dotted line will appear around the area that you selected. 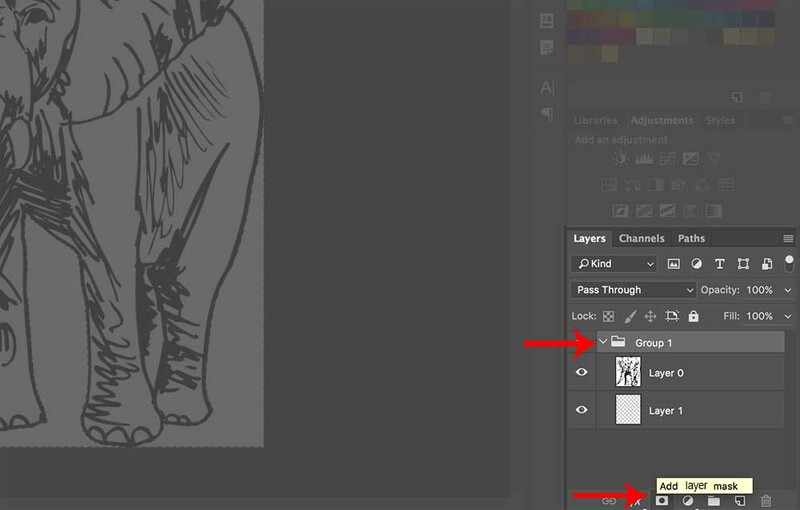 If the dotted line does not go around the entire elephant, Ctrl+click (or Command+click on Macs) on a different part of the background and click “Add To Selection.” Repeat this until all areas around the outline of the elephant are selected. 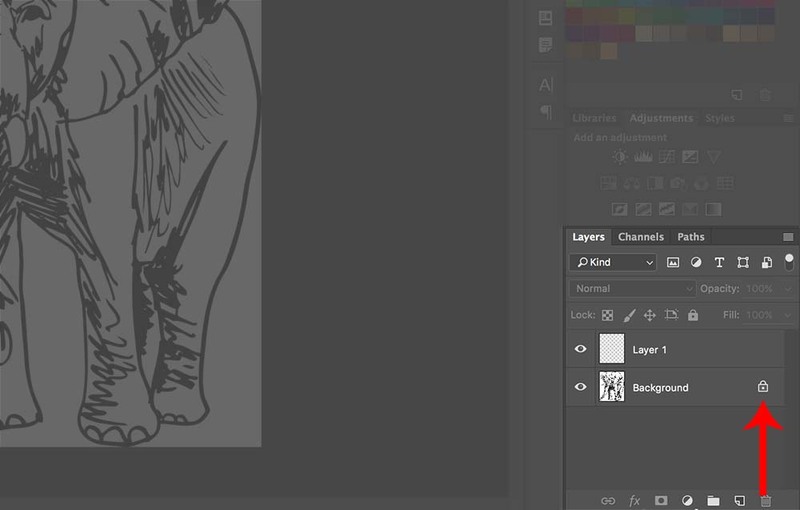 After you create the layer mask, you’ll need to click Ctrl+i (Command+i) to invert the layer mask. 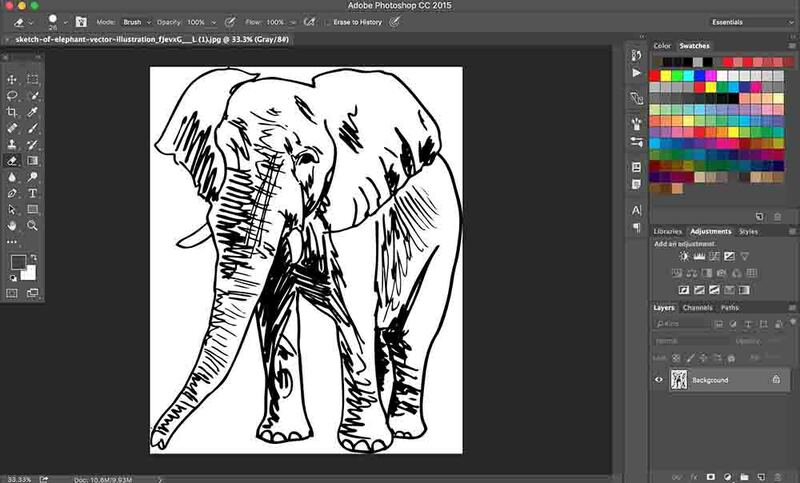 This will allow you easily to paint inside the lines of your illustration. Once you’ve inverted your layer mask, your illustration should look like the image below. 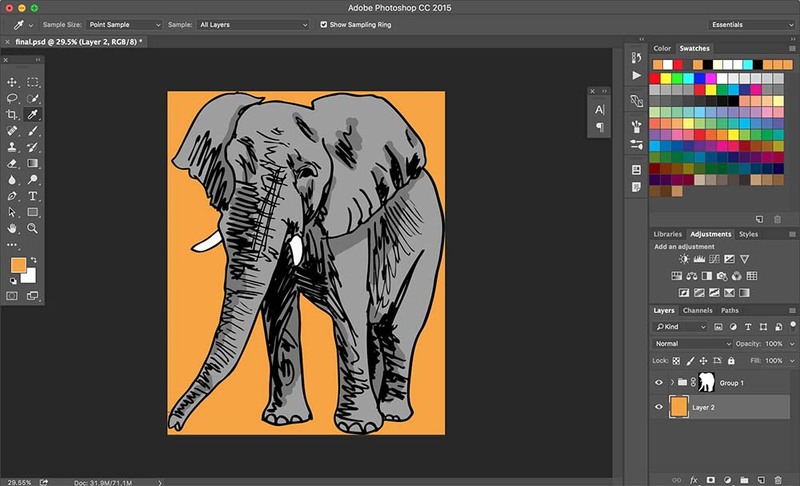 For this tutorial, we colored the entire elephant in a light gray, made the tusks white, then selected a darker gray to add some shadows and depth to the illustration. You could stop here and you’d have a great elephant illustration that you can add to any graphic. However, if you’d like to add a background to your image, read on for some bonus steps. 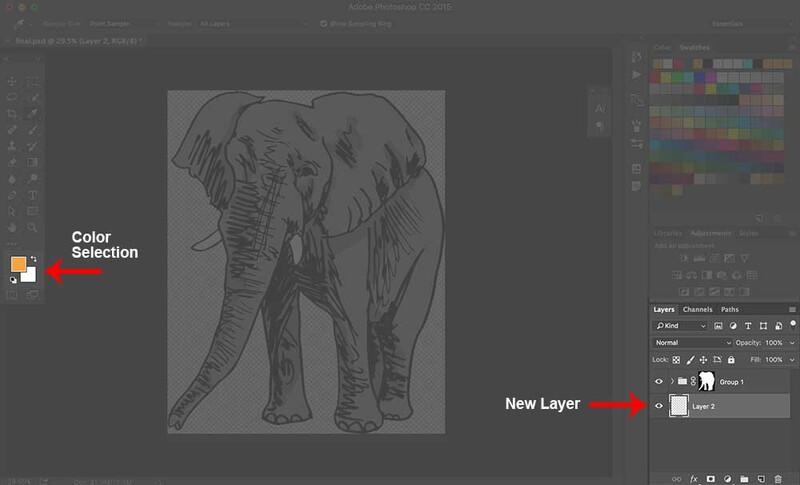 Create a new layer (make sure that it is outside of Group 1). Drag the layer below Group 1 and pick a color for your background. 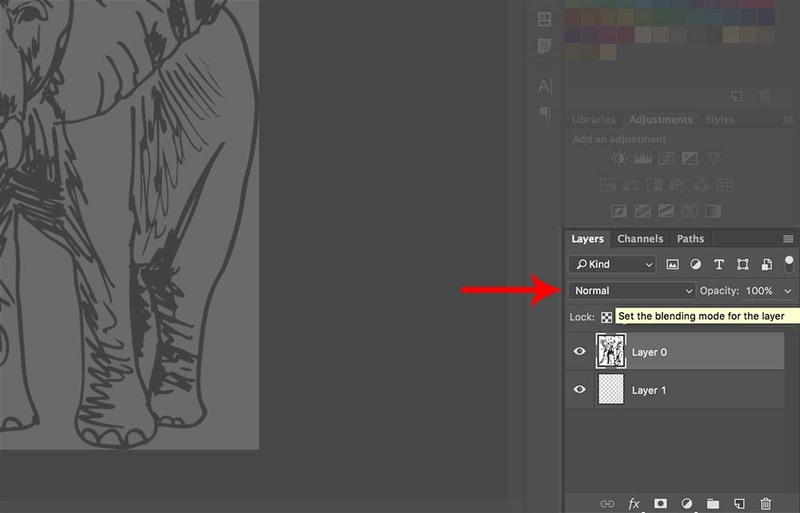 With your new layer selected, click Alt+delete (Option+delete on Macs) and the entire background of the illustration will be filled in with the color of your choice. That’s it! You’ve successfully colored in an illustration in Photoshop. You can now use this same tutorial with other stock black and white illustrations from the GraphicStock library.